Usman Danfodio University, Sokoto (UDUSOK) of Postgraduate School Fees Schedule for Fresh and Returning Students for 2018/2019 Academic Session. 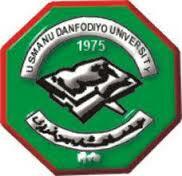 Authorities of the Usman Danfodio University, Sokoto (UDUSOK) of Postgraduate School has released the school fees schedule for newly admitted and returning local/foreign postgraduate students for the 2018/2019 academic session. SEE ALSO: UDUSOK Postgraduate Academic Calendar Schedule 2018/2019.